Road Gamerz Mobile Video Game Party! 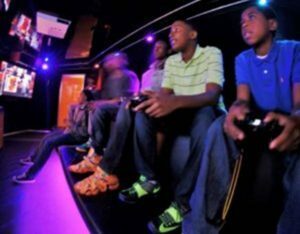 7 High-Definition Video Gaming Centers! The BEST SoCal Birthday Party & More… We come to you! The ULTIMATE in Video Game Action & Excitement! Stadium-style seating to fit the whole crowd! You RELAX, and your home stays clean! More room for Dancing & Action Sports! a Road Gamerz Mobile Video Game Party! With 7 Hi-Def TV’s, up to 28 guests can play at once! We’re Bigger and Better! There is no comparison! 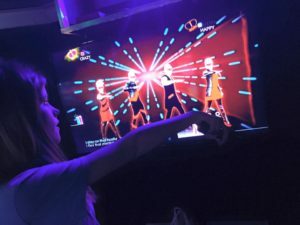 The best video game and dance party in West Texas! It’s a new game, SoCal! 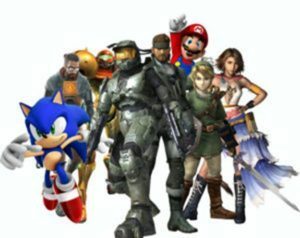 Road Gamerz brings the newest, most exciting mobile video game theater right to you! 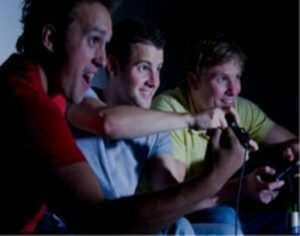 Our brand new, HUGE 32 foot gaming theater features 7 awesome gaming stations…5 inside and 2 more outside, allowing up to 28 guests to play at one time! With stadium-style tiered seating, higher ceilings, full climate control, laser and neon lighting and more, there is no comparison to the Road Gamerz mobile video game trailer! We have 7 High-Def TV’s! 28 can play at once! With 7 Hi-Def TV’s, 28 can play at once! Birthday parties, school events, church fairs, festivals, fundraisers, civic and city events, parades and carnivals…we bring the best mobile entertainment venue right to you! We’re completely self-powered by our own quiet generator…we can go almost anywhere! Our Game Coach instructs players and runs the party while you relax…and your home stays clean! It doesn’t get any easier…or any more fun!